If you would like to view this artwork at the artist’s studio in London simply give us a call on 01372 897070 or email info@opiusgallery.com. To view artists from other areas click 'View Art Locally' in the main menu above. Image Size: 20.5" x 30.5"
Description: An unframed original watercolour by Henry Jones on 200lb Saunders Waterford paper. 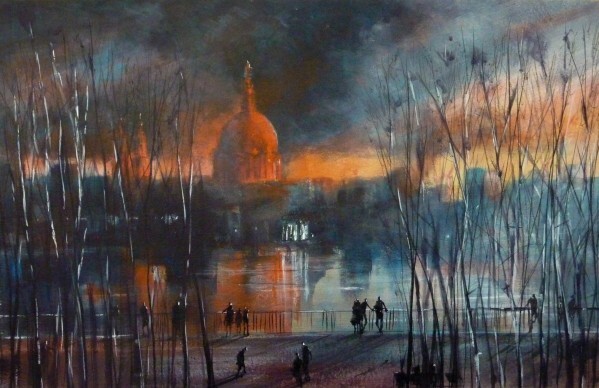 The painting offers a dramatic view of St Paul's cathedral from an upper floor of the Tate Modern, with a nod to that iconic photo of St Paul's after a WW2 air raid.